The English two-piece grunge band has revealed dates of their upcoming trip to UK. The trip is supposed to be taken place after their much expected album ‘Undertow’ which is going to be in hand on 6th April this year by Infectious Music. Produced by Ross Orton, Undertow’s songs were written last year at the same time as the band was on tour to Castleton and Sheffield whereas the recording of the album also took place same year. The homeland between these places is the venue where Drenge has planned to be live on the stage now. This time the band has a change by having Rob Graham, a third member in their band who has played bass for a few tracks of the album. Rob will also be the part of their forthcoming gigs in future. 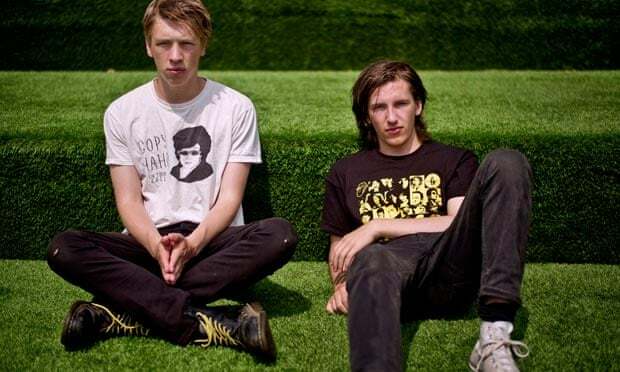 Drenge welcomed the New Year with the first breeze of their live performance of the year last week. Having two main dates in the leading cities of UK such as Leeds and Manchester, in the company of The Guardian to call them 'a frightening, thrilling live band, whose outbreak of garage, grime and freedom rock unites through Damned/Misfits-style crooning to turn the venue with chock-a-block spectators into a packed the gathering within no time. The thrilling boys will attack the UK with their dazzling live performances right after the release of ‘Undertow. The band received the nomination in an NME Awards and it yet to find out whether they win the trophy or not in February when the awards are scheduled to take place. Here are the dates of the live gigs by Drenge scheduled till April 2015. All gigs from their UK tour are 14+ and tickets can be purchased for £12 (£13.50 in London).